Football might not be coming home after all, but maybe now we can all sit back and enjoy the range of football boots on show this Sunday. After four weeks of drama, tension and surprise results, we finally know that the 2018 World Cup Final will be fought out between France and Croatia- but you probably already knew that. 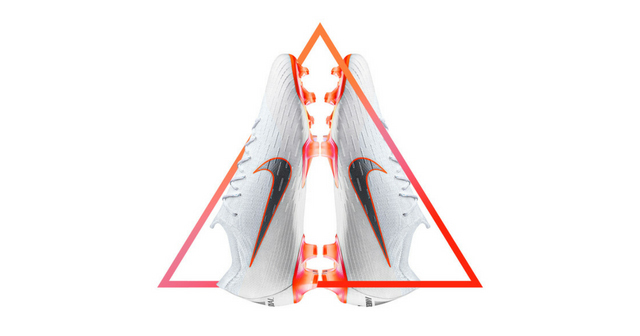 What you might not have realised, however, is which football boots have played an absolutely pivotal role in shaping this summer’s tournament. From Croatia’s 3-0 dismantling of the mighty Argentina, to France’s fantastic defensive display against Belgium, it’s fair to say that both sides have enjoyed some massive moments throughout their respective journeys. 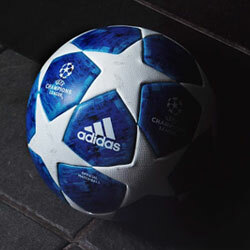 At the heart of these moments lies a small collection of football boots which have made a colossal impact on events in Russia. 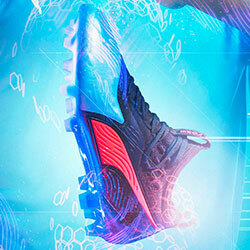 So, as the tournament finally draws to a close, which football boots look set to light up the biggest stage of all? Released amongst a whirlwind of hype just before this summer’s tournament, it’s hardly surprising to see that the adidas ‘Energy Mode’ Predator has been so influential so far. 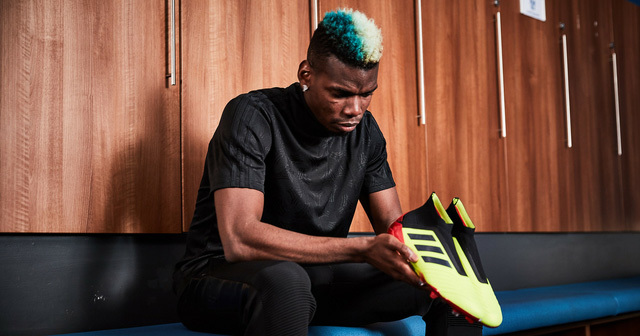 Designed to allow players to dictate the play and control the game, the Predator has proven to be the ideal companion for French talisman Paul Pogba. Putting in performances that are so rarely seen in a Manchester United shirt, Pogba has been pulling the strings in every match he’s played, and we expect to see more of the same in Sunday’s final. Lining up against him, however, is another midfield maestro that’s been having an absolutely storming tournament in adidas Predators. Ivan Rakitic kept Lionel Messi extremely quiet in their Group Stage clash, while his fantastic performances have culminated in scoring the winning penalty in two separate shootouts. Packed with colour and vibrancy, it’s impossible not to see the impact the adidas ‘Energy Mode’ Predator could have this weekend. The battle for midfield could well decide the outcome of this World Cup, and Luka Modric will be hoping to prove instrumental yet again in his Nike Mercurial Vapor XII boots. The Real Madrid man is capable of doing something truly special this weekend, while teammates Ivan Perisic, Ante Rebic and Sime Vrsaljko will be showing off exactly the same boots. Opting for the Mercurial Superfly VI, however, is a young French forward that has set this World Cup on fire. Kylian Mbappe has unleashed his unbelievable pace in full force this summer, at times simply becoming a blur as cameras struggle to keep up with his movement. The Mercurial Superfly is designed to unlock the wearer’s explosive speed, and Mbappe has become the perfect advert for just how effective these football boots can be. We expect big things from the Mercurial this weekend; as Modric and Mbappe not only fight it out for the World Cup trophy, but also the prestigious Golden Ball. 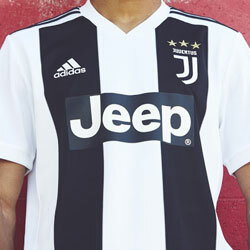 The iconic Puma Future is only going to be worn by one player on Sunday, but we still fancy it to grab a headline or two. 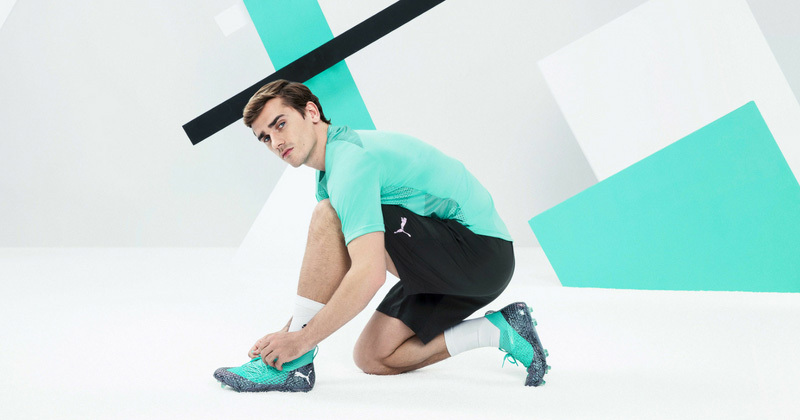 Antoine Griezmann has turned into something of a Puma poster-boy in the last few months, and he’s swiftly become the face of their most popular silo. The Future is designed to enhance comfort and fit, allowing the most agile players to change directly quickly and explode in acceleration. 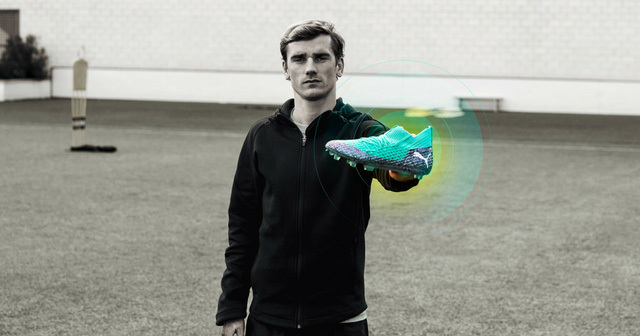 Of course, these are two attributes Griezmann has in abundance, and we have a sneaky feeling that the Future might allow him to flourish in the biggest game of his career. 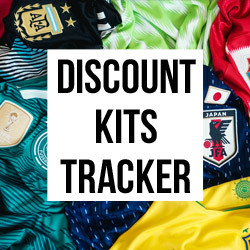 The adidas Predator, Nike Mercurial and Puma Future are all worn by some of the best players on the planet, and now you can bag your own pair of these fantastic football boots by comparing prices at FOOTY.COM.